Try this Crockpot Potato Leek Soup for Warm and Cozy Clean Eating! When the kids go back to school, I seem to rely on my slow-cooker a lot more often. 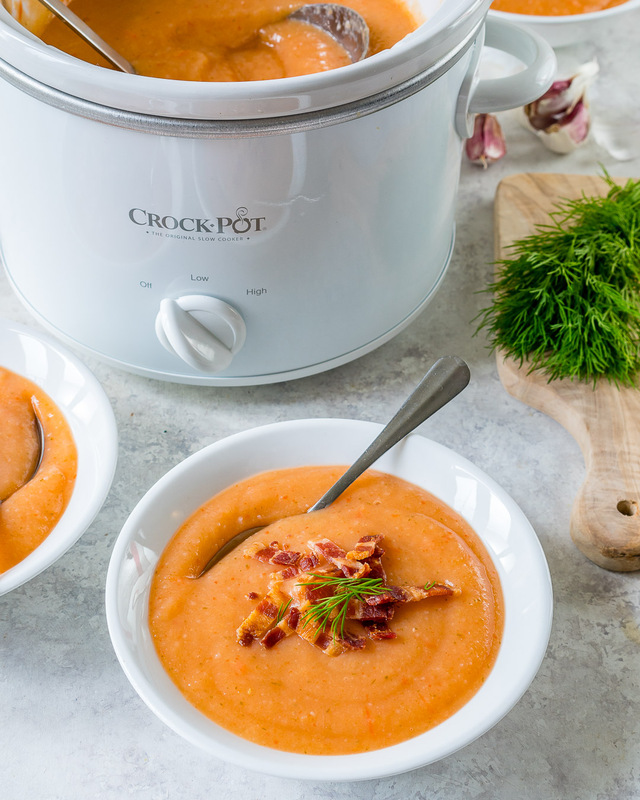 Maybe it just makes my home feel like fall – maybe it’s that crock-pot cooking ensures that dinner will be ready…no matter what! 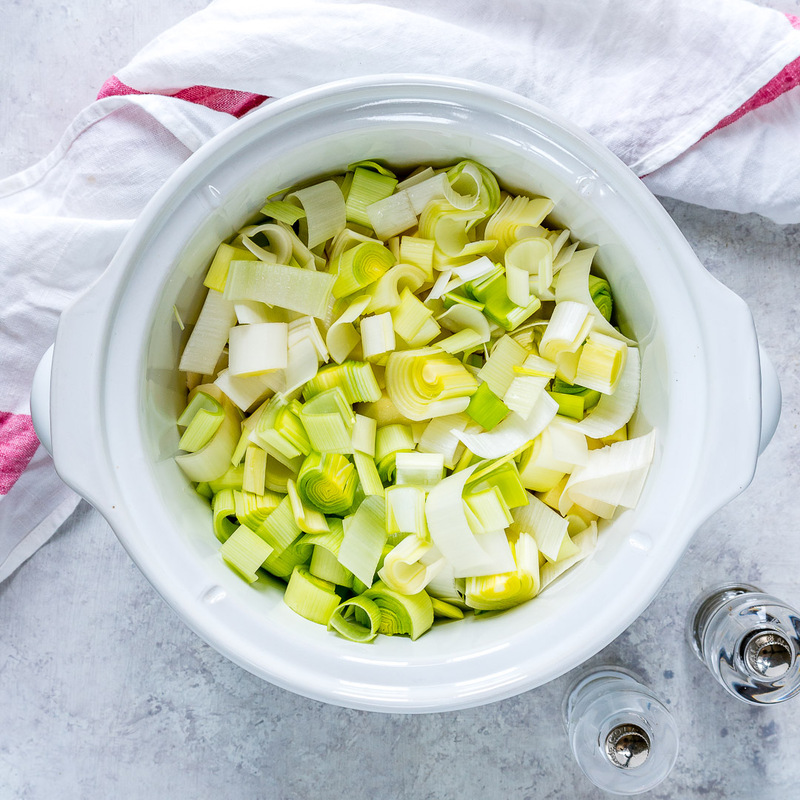 Do you use a slow cooker? 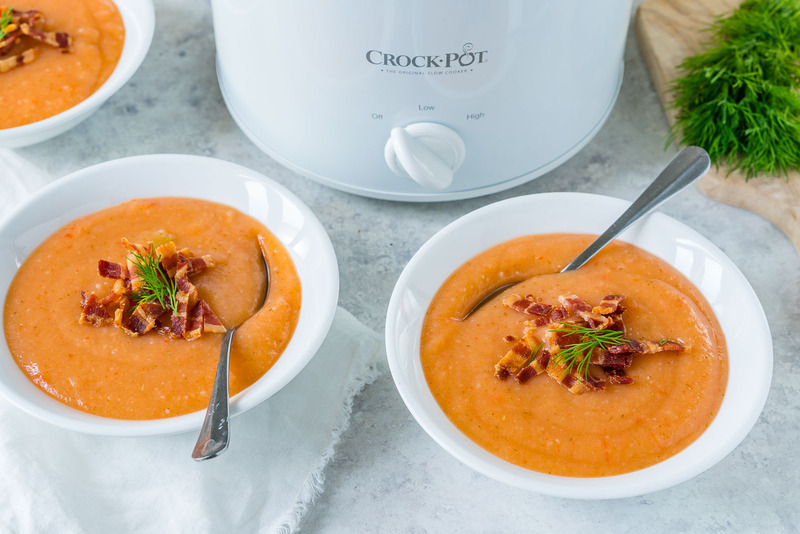 We’re thinking of dedicating October + November to healthy new crockpot recipes for the blog. 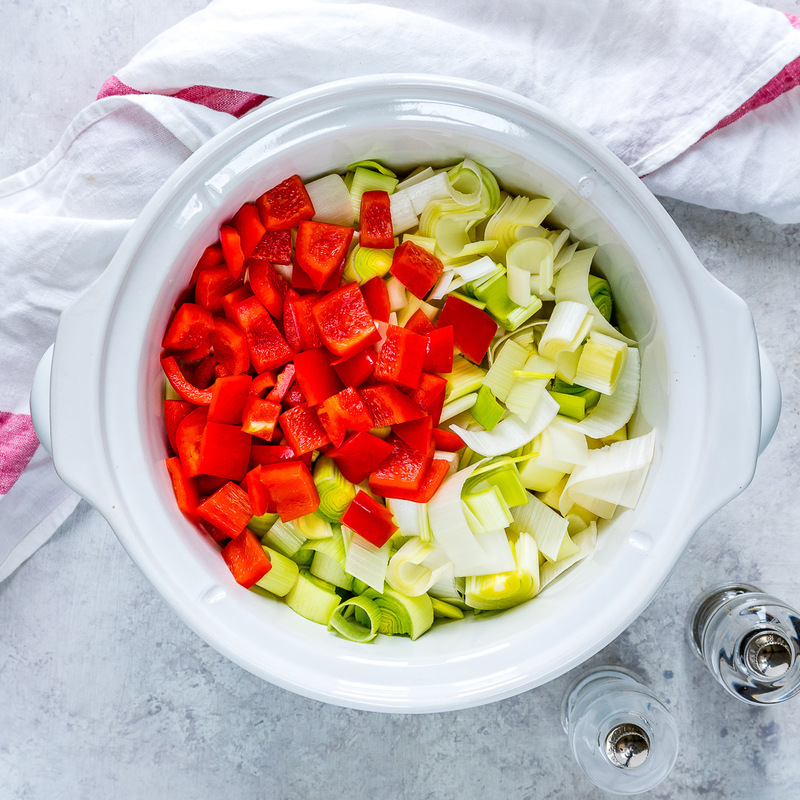 Place all the ingredients (besides toppings) in the crockpot. Cover and cook on LOW for 8 hours, or HIGH for about 4 hours, until the potatoes are tender. Puree the soup using an immersion blender. Taste test and adjust seasonings if desired. 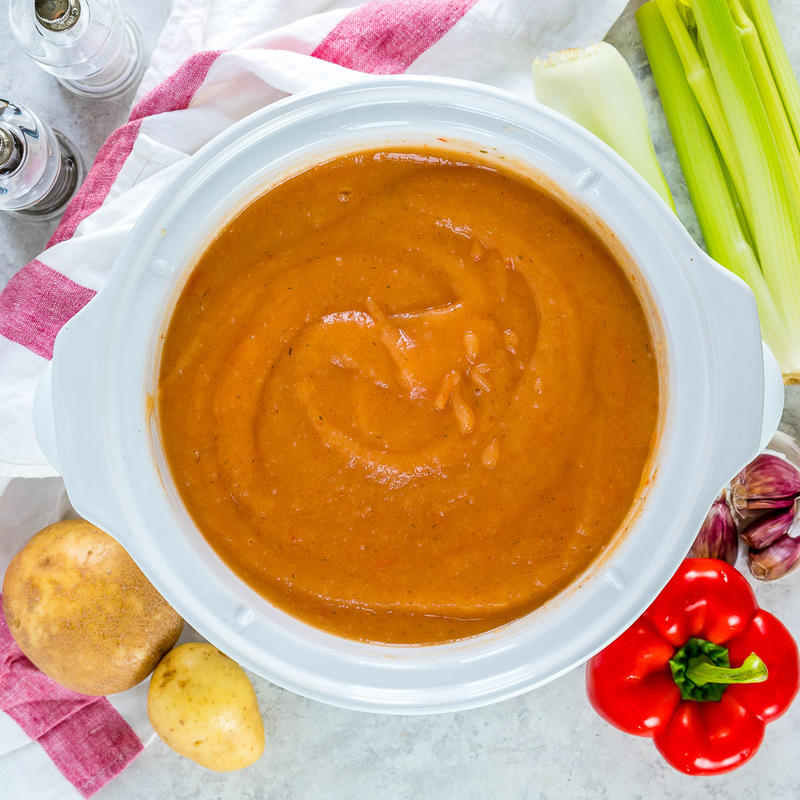 Serve hot with toppings of choice. Enjoy! 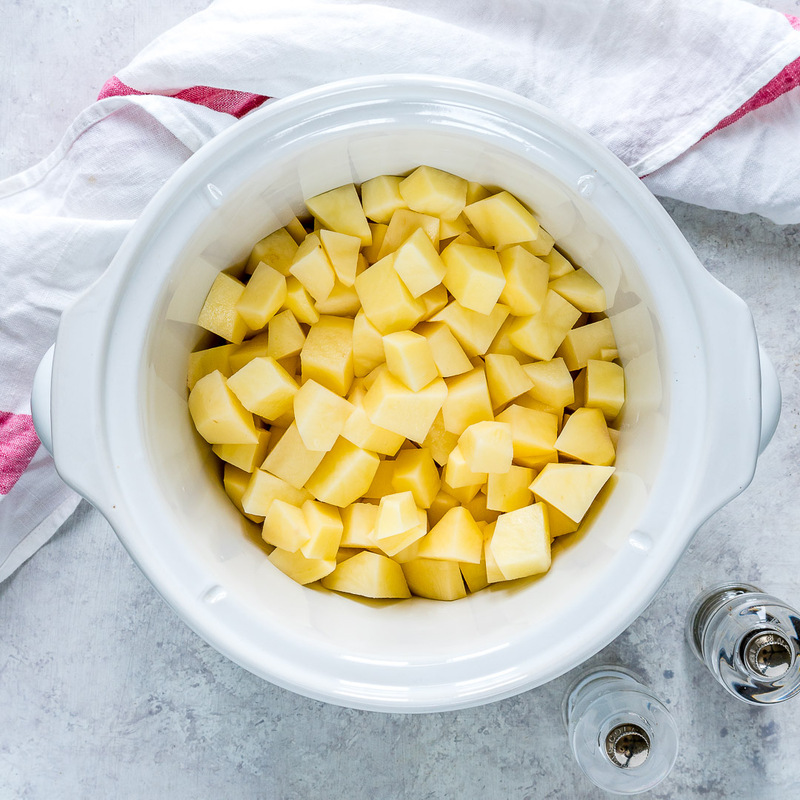 Wash and chop all of your ingredients and get ready to pop them in the slow cooker! 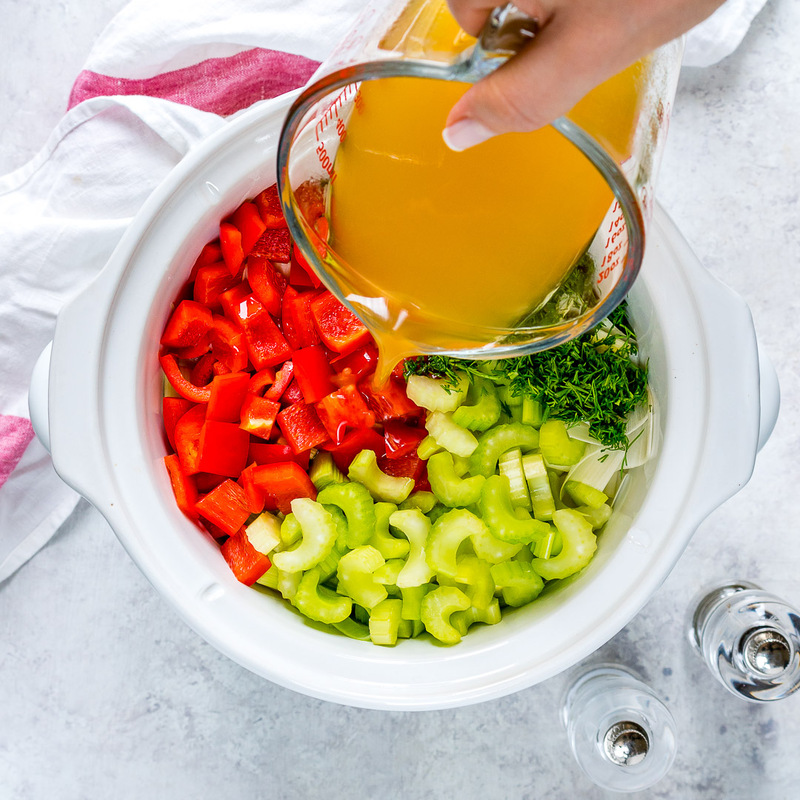 Place all the ingredients (besides toppings) in the crockpot. Cover and cook on LOW for 8 hours, or HIGH for about 4 hours, until the potatoes are tender. 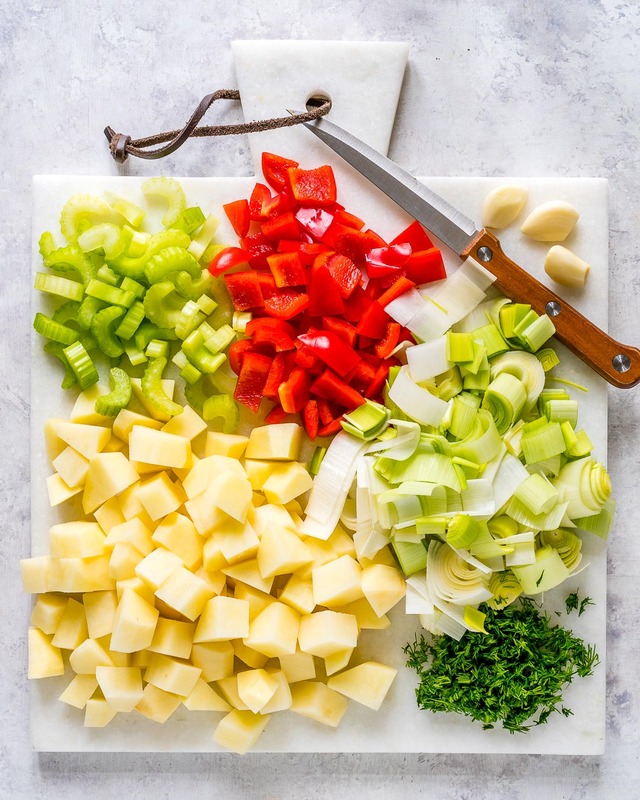 This is what your soup will look like cooked before it’s been blended! Puree the soup using an immersion blender. Taste test and adjust seasonings if desired. 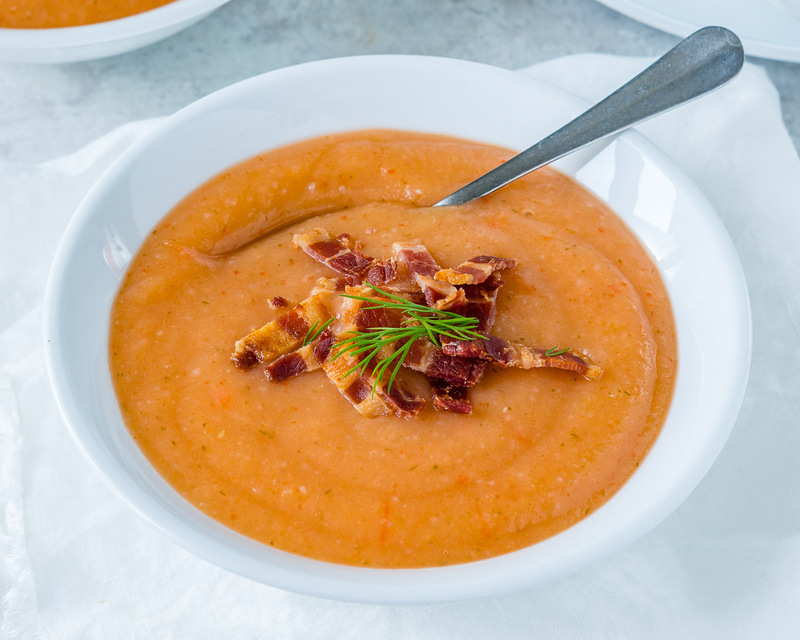 Garnish with your favorite toppings – bacon, fresh herbs, or a dollop of Greek yogurt are great options with this soup! 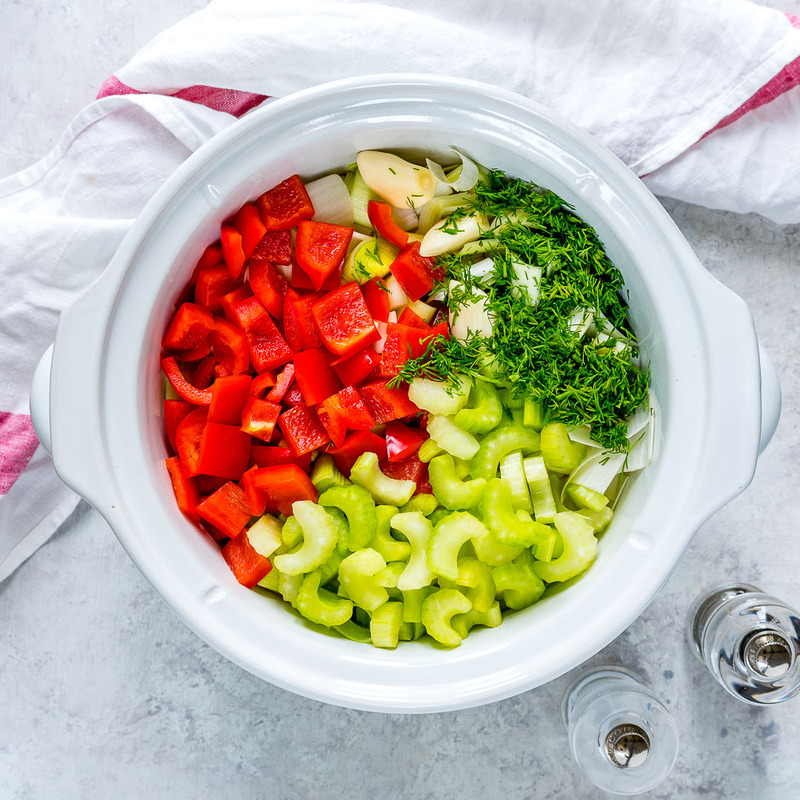 Place all the ingredients (besides toppings) in the crockpot. Cover and cook on LOW for 8 hours, or HIGH for about 4 hours, until potatoes are tender. 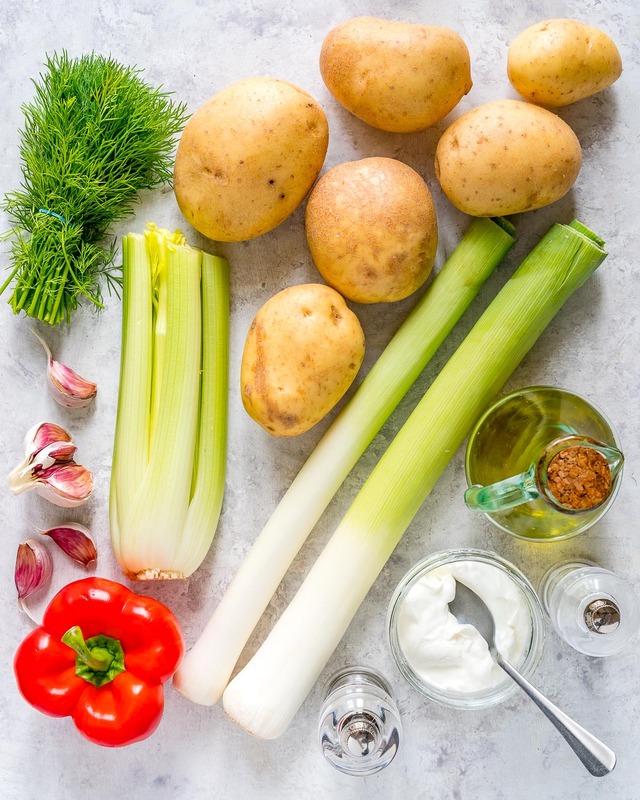 5 Ways to Fight Inflammation and Feel Better!